Cahir Mens Sheds are making fairy doors with the pallets they received from Tipperary County Council. These fairy doors will be located on the walkway from Castle Car Park to Swiss Cottage. The Irish Men’s Sheds Association was set up in January 2011 with the purpose of supporting the development and sustainability of Men’s Sheds on the Island of Ireland. See www.menssheds.ie for information and supports in relation to development of Mens Sheds. In Tipperary, The Local Development Companies and other community structures have supported the development of a number of Men’s Sheds around the county. 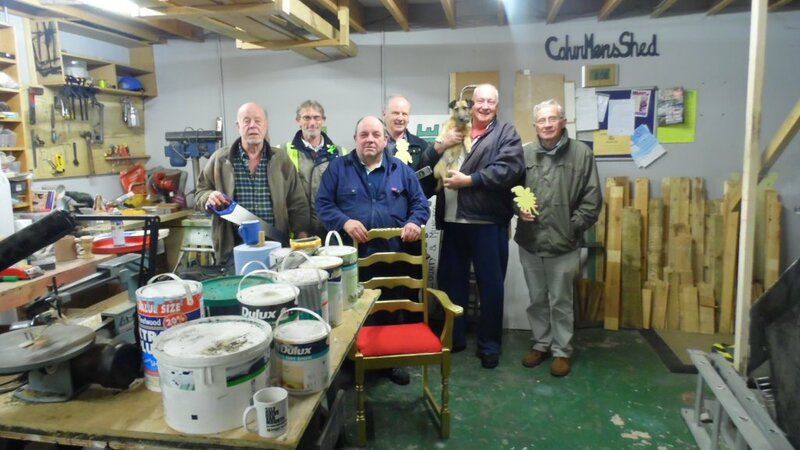 Cahir Men’s Shed – Loughloher, Cahir, Co. Tipperary – Gerry Niland 087 – 1269804 – or Michael Ryan 086 1076872 – gerryniland@gmail.com or monsey6@gmail.com – Open Wednesday nights 7.00pm to 8.30pmCahir Mens Sheds (pictured above) are making fairy doors with the pallets they received from Tipperary County Council. These fairy doors will be located on the walkway from Castle Car Park to Swiss Cottage. South Tipperary Development Company Ltd.
2nd Floor, Friars Court, Nenagh, Co. Tipperary.